Dentsu Aegis Network has warned of "caution" among advertisers as it downgraded its growth forecast for the global ad market to 3.8% this year. 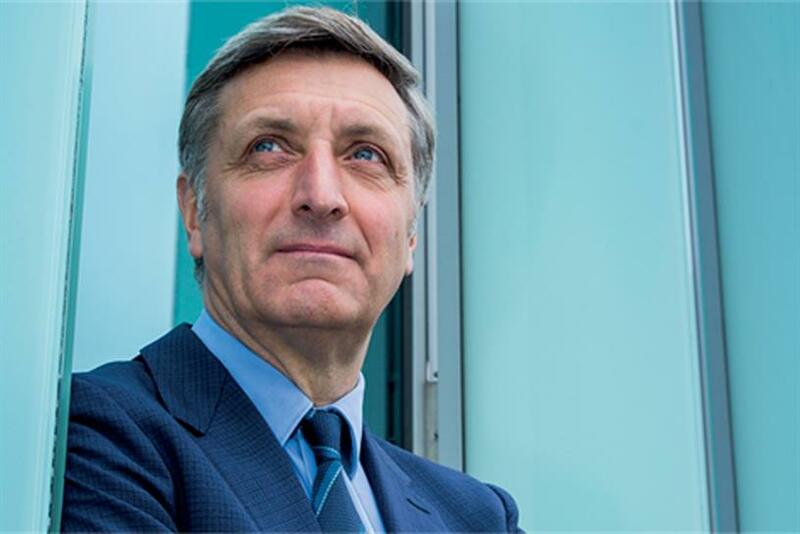 "I will say candidly that the direction of travel is down and that trend may continue to fall," Jerry Buhlmann, the global chief executive of Dentsu Aegis Network, told Campaign, contrasting the forecast for this year with 4.8% growth seen in 2016. There is also a "slowdown" in digital advertising in the wake of the brand safety row involving YouTube and other online platforms, he said. Buhlmann is seeing "a much closer relationship" between the ad market and global GDP, or economic output, ending a period of five years when advertising growth outstripped GDP thanks to the digital boom. He believes that the rise of Donald Trump and the fallout from Brexit is having an effect on international trade. "The retreat of globalisation is an issue – and we still have a way to go," he said. "We are seeing the end to a 30-year window in labour market arbitrage" – meaning that companies may no longer be able to source goods cheaply from developing countries. "Most global companies are finding it harder [financially] and that is having an impact," Buhlmann continued. "The profile of which clients are spending may be changing. Some of the global clients are pulling back, some of the local clients, like in China, are increasing [spend] strongly." Buhlmann said some of the big, traditional fast-moving consumer goods brands are "quite challenged" in an era of data-driven, digital marketing because they rely on third-party retailers and lack an "element of addressability" to target consumers directly. "They’re not able to have a correlation between their advertising online and sales in the shops," he said, suggesting FMCGs "need to embrace utility" by developing products and services that can engage audiences directly. "Creating utility through digital will be a challenge for every brand irrespective of its retail channel," he added, looking ahead to an era of voice activation and virtual reality. The survey downgraded prospects for North America, the UK, Brazil and India in 2017, although it upgraded expectations for Western Europe and Asia-Pacific. Dentsu Aegis Network expects the global ad market to pick up in 2018 with 4.3% growth thanks to rising global GDP. However, Buhlmann noted that rate of growth would still be slower than in 2016. The UK market appears to be riding out the worst of any fallout from Brexit as growth is forecast to be 4.0% in 2017, albeit down from an earlier prediction of 4.6%, and Dentsu Aegis Network reckons 2018 could grow a punchy 5.9%. "Everyone is waiting to see how the consumer responds," Buhlmann said of the UK. "They [consumers] shrugged off Brexit. They may shrug off a general election that didn’t produce a result." Dentsu Aegis Network is the second leading media buyer to warn of a slowdown after Magna, a division of Interpublic, sounded a similar note of caution earlier this week. Has YouTube done enough to allay brand-safety concerns?